Kath Bee came to our school today. 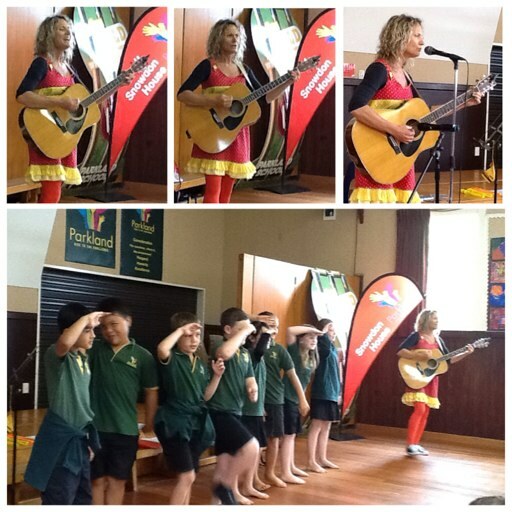 She write and performs songs for children. We had great fun. Sometimes she is in the Palmerston North library. You might see her in a library or school near you. Sophie was full of talk about her, it sounds great.